Description: This parcel on the north side of Ash Swamp Rd. Glastonbury, is mostly swamp land with a stream running through it, and another stream defining it's western border towards the back. Both streams feed Roaring Brook. 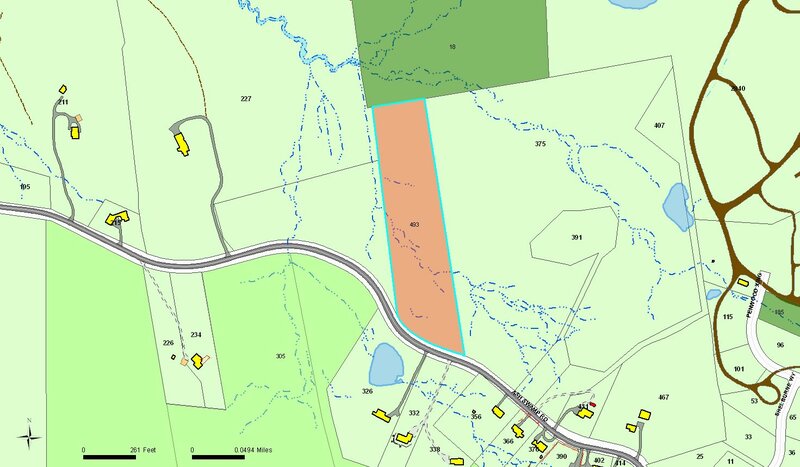 There is a section of town open space to the North, State Forest across the road to the south and a large conservation easement (Zola) to the east. The entire parcel is forest covered including many red maples and a few white ash, as befits the name Ash Swamp. Notable Features: There are signs of an old fence line along the western border. Small fish have been observed in the stream. Conservation Purpose: This property serves as a wildlife corridor from the Meshomasic State Forest to the south to the 4000 acre Manchester, water lands which lies across Hebron Ave. to the north. It is also known to be a rattlesnake foraging area. Deed Restrictions: Detailed conservation and public recreation agreement by reason of DEP grant. Acquisition History: This property was purchased in 2005 from Jennie Grasso and her sister Christine Amoroso. It had been inherited from their father Daniel Civitillo whose name is cited in the title. The purchase price was $22,000 and KLT received a grant from DEP in the amount of $9900. The appraised value at the time was $25000 ( Ted Rummel appraiser). In addition the Nature Conservancy allocated $4226 which had been held for the Glastonbury Subchapter which was dissolved in 2006.